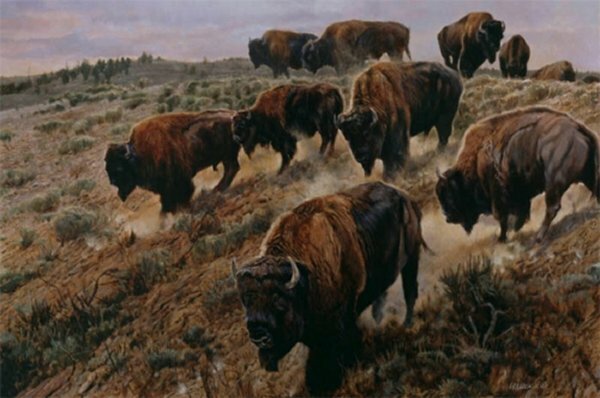 American bison (known as buffalo to many) are an American icon. Hillier's herd of these magnificent animals traverses a difficult hilly area in search of food. A hill that would be easy for a smaller animal can be treacherous for these large beasts.